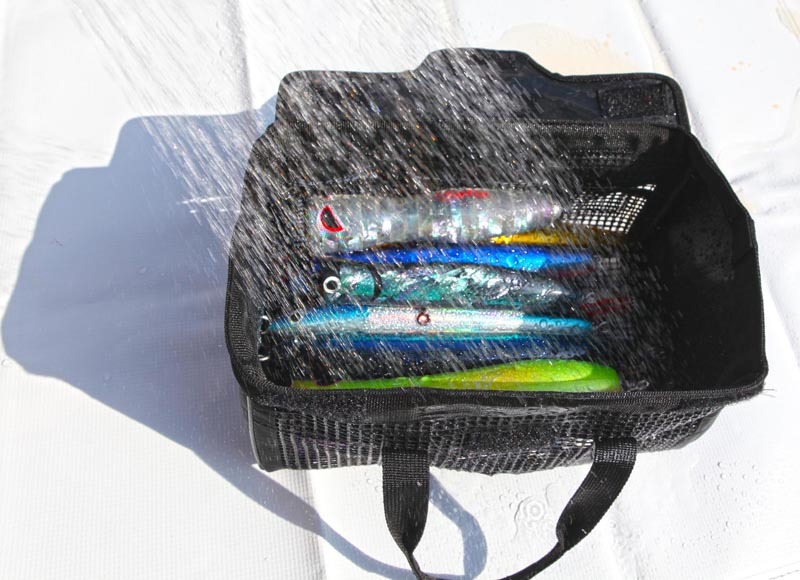 You can wash your lures and jigs with the bag together after a fishing. Shipment will be made in turn according to the order placed day. Furthermore, we have a good stock of the bags. 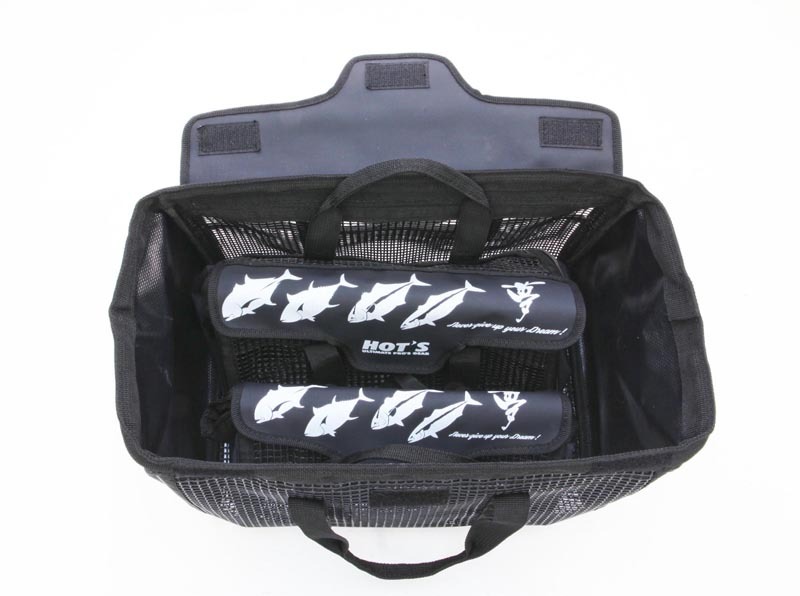 The bags are made of a PVC mesh material, and the bags have three mesh sides at the front side, the back side, and the bottom side. 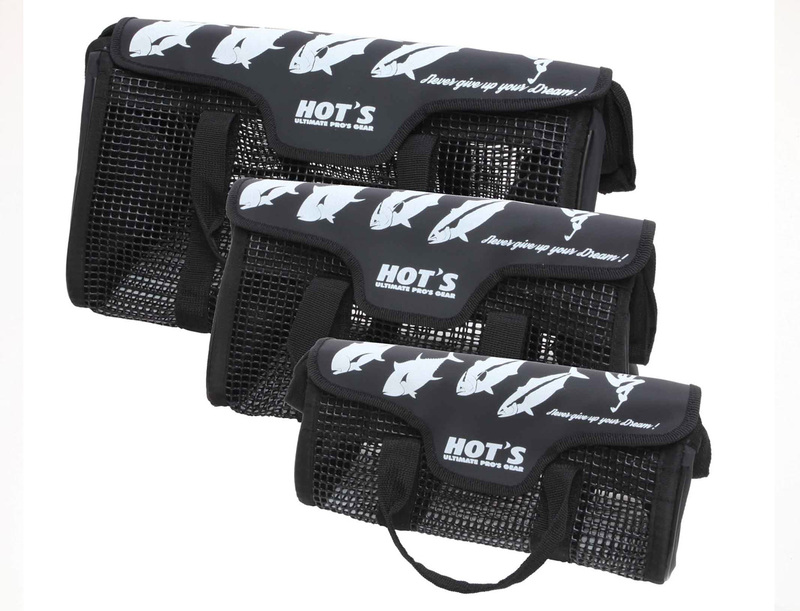 The bags have three sizes in the product line-up. So, the bags can stock from short slow jigging jigs to long jigs and big plugs. The top of the bags are printed the illustrations of target fishes, which are GT, TUNA, AMBERJACK, and KINGFISH. 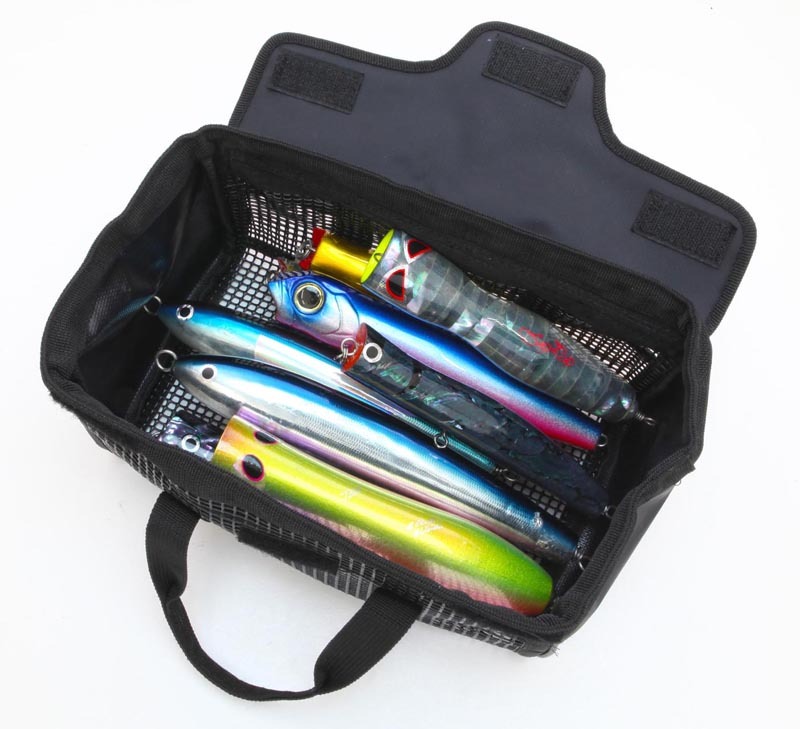 ●The big opening of the bags allows easily a lure to be picked and put in. 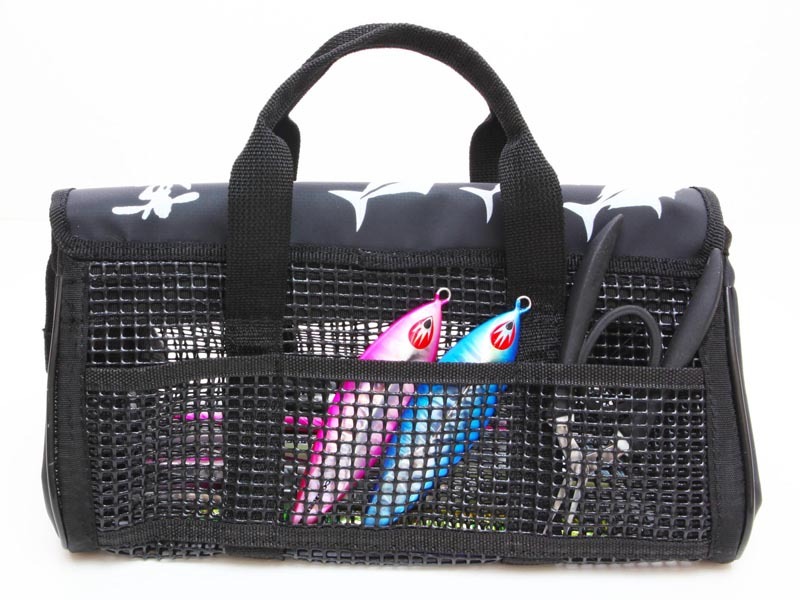 ●S size bag is recommended to stock metal jigs. ●M size bag is recommended to stock big plugs. ●L size bag having a large storage can stock a M size bag and a S size bag together. 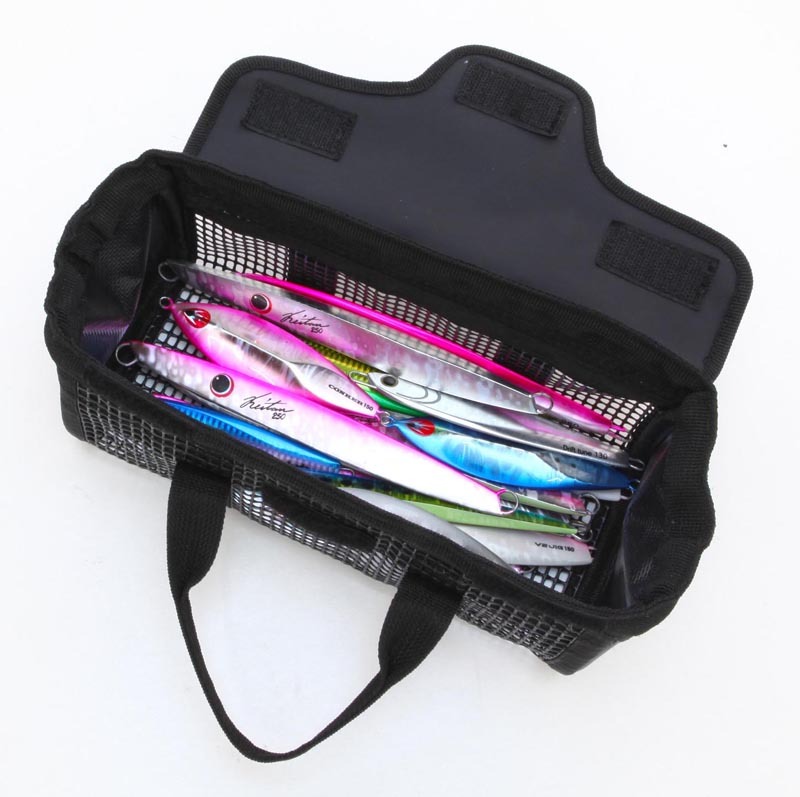 ●Back side pocket can stock a short jig and a frequently used goods like a plier.